Contemplation has been defined as thoughtful or long consideration or observation. In the East, Christian contemplation has been associated with spiritual transformation. “The process of changing from the old man of sin into the new born child of God and into our true nature as good and divine is called theosis.” The process has often been described by the metaphor of a ladder, with the acquisition of the state of hesychia or peace of the soul being the summit where the person is said to reach ‘Heaven on Earth’. Perhaps the purpose of a public contemplative space might be to give visitor glimpses of ‘Heaven on Earth’? What might such a space look and sound like? Natural spaces are most often associated with a sense of restfulness and peace. Water can create a sense of calm, while beauty can promote a sense of wonder. 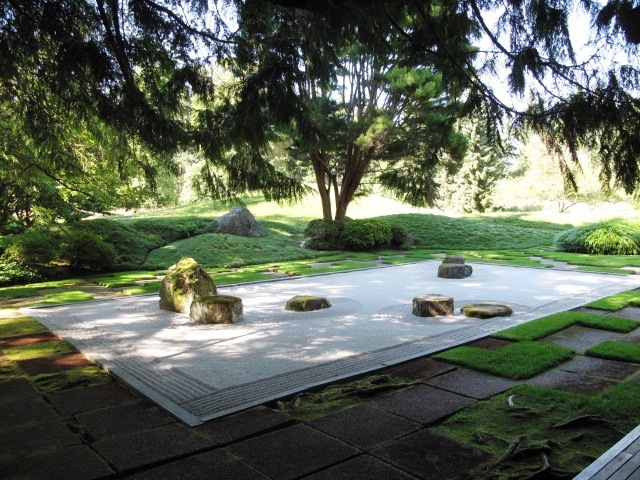 This entry was posted in Asian gardens and landscapes, context-sensitive design, Garden Design, garden history, Landscape Architecture, landscape planning, public art, Urban Design on 27th July 2011 by Christine. Is Forum Magnum the stupidest urban landscape design in London? What should be done to improve the urban landscape design of this space? I pass Forum Magnum Square quite often and took this photo to show it at a busy period: 5.30 pm on the afternoon of Sunday 26th June 2011. Forum Magnum Square is 100m from one of Europe’s largest tourist attractions. My180° photo was taken from the white cross in the centre of this map. London’s parks and open spaces were jammed with people. It was, for London, a hot day (27°) and people were seeking shade everywhere. I guess anyone can say why the space is empty. But what should be done? A biodiversity meadow? A beer garden? A tourist market? A food court? Another building? A fishing pond? A fernery? A monument to victims of torture? I think they should hold 2-stage competitions for the re-design of places like this: Stage 1 – to find an imaginative use; Stage 2 – design the space to accommodate the new use. In New York City they use incentive zoning to create POPS = Privately Owned Public Space. Great idea. Forum Magnum is Latin for Great Forum. A forum was a public square or marketplace in an ancient Roman city, also used for assemblies, public business and siting temples. Forum Magnum enjoys none of these functions. It is a great stupidity but is not great in any other way. Can anyone suggest an urban space in such great location which surpasses Forum Magnum square in stupidity? 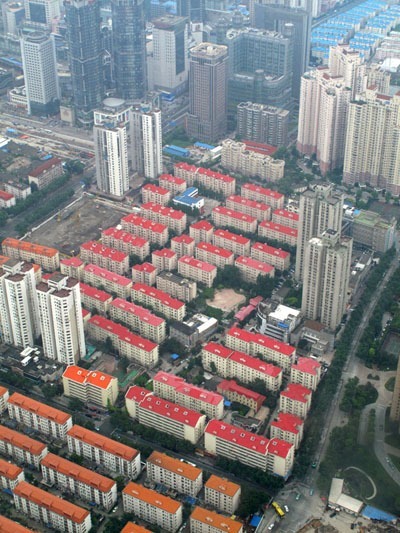 This entry was posted in London urban design, Urban Design on 25th July 2011 by Tom Turner. 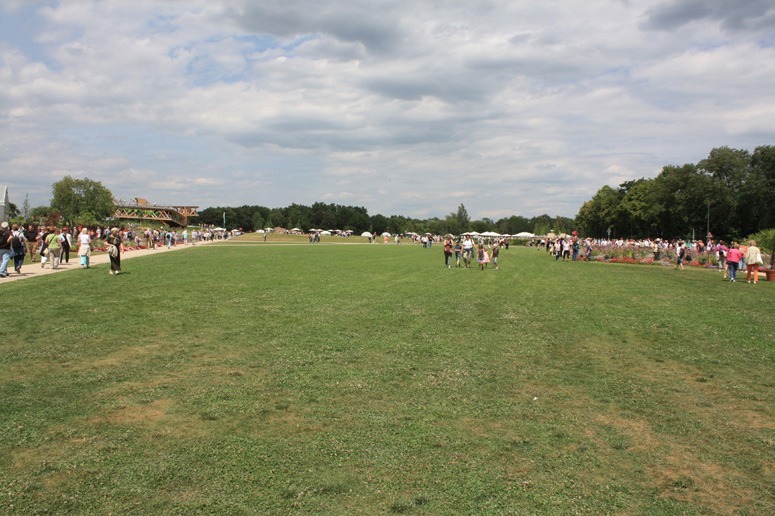 This year Germany offers both the County Garden Show in Norderstedt and the National Garden Show in Koblenz. 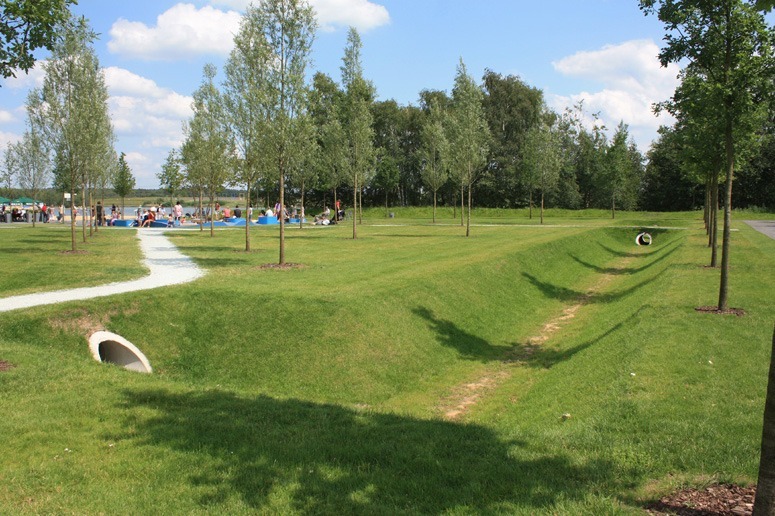 Norderstedt is using the show to unite an old mineral excavation site with an adjacent woodland and grassland to create a new park and Koblenz has renovated an antique military site to parkland and upgraded existing urban open space on three sites on both sides of the Rhine. 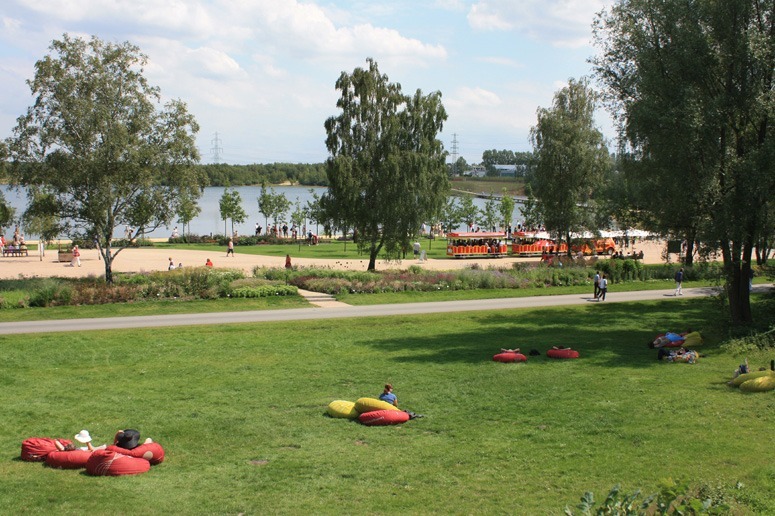 The competition for the Norderstedt master plan was won by Kiefer Landschaftsarchitekten (Berlin), that for Koblenz by RMP Landschaftsarchitekten (Bonn). Both competitions were run in 2006. Despite the large difference between the budgets for County and National shows, there is not much to choose between Norderstedt and Koblenz, and I believe that Norderstedt will leave a more substantial legacy behind it after the show. I am told that the renovation of the military site swallowed large amounts of money in Koblenz, and perhaps this is the reason why I judge this National Show to be the dullest I have seen in the 30 years that I have been visiting them. 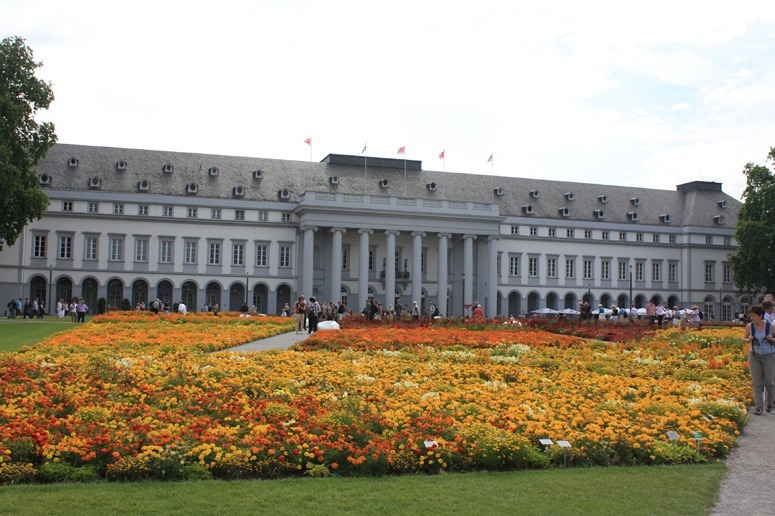 Whereas previous shows offered political comment, experimental design and a cornucopia of exhibits, Koblenz offers as its central attraction a threadbare expanse of grass surrounded by the dullest temporary exhibits, most of a commercial nature. 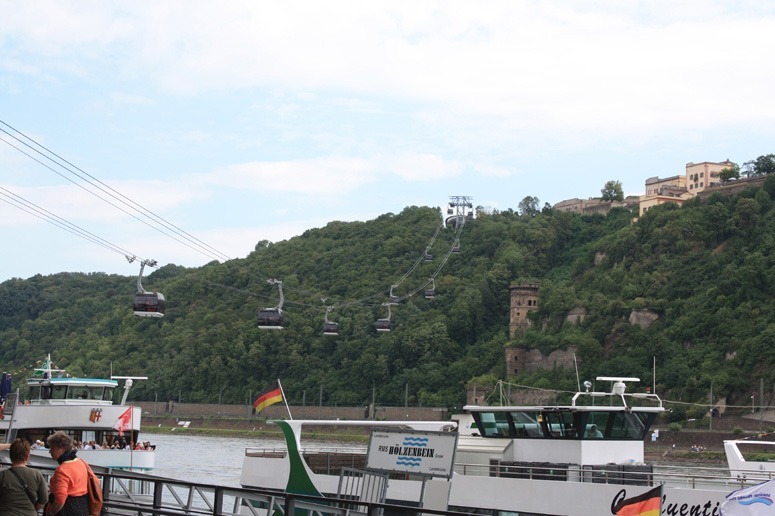 The highlight of the visit is the cable car ride between sites, strung high over the Rhine at the point where the Mosel joins it – but this is also a temporary installation which will be dismantled when the show closes in autumn. Norderstedt leads the way when it comes to the technicalities of ground modelling, offering crisp and sculptural soft detailing and beautiful flowering meadows. Both shows continue the trend of an emphasis on horticultural excellence. 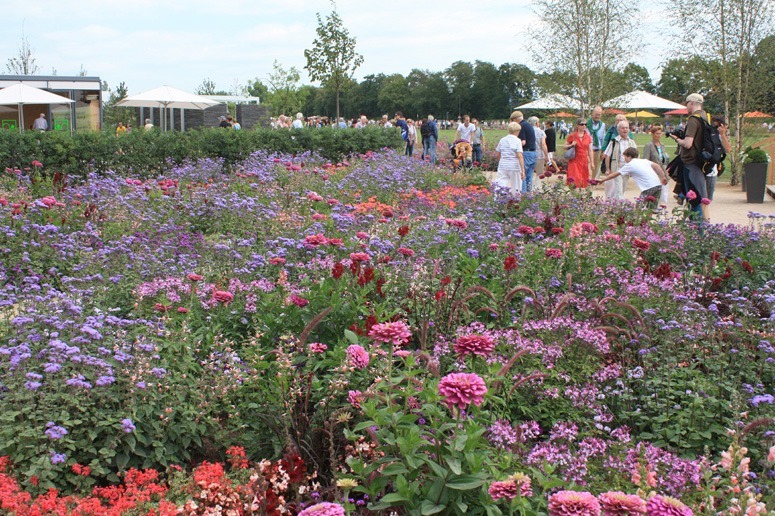 German plant designers are at the top of the range when it comes to herbaceous perennials, carpet bedding and the contemporary combinations of the two and they are certainly putting the Garden back into Garden Shows. Unfortunately, this does seem to be happening at the expense of the inspirational designs that were such a characteristic of past shows, particularly those that took place in the 1980s, the golden financial years before reunification. 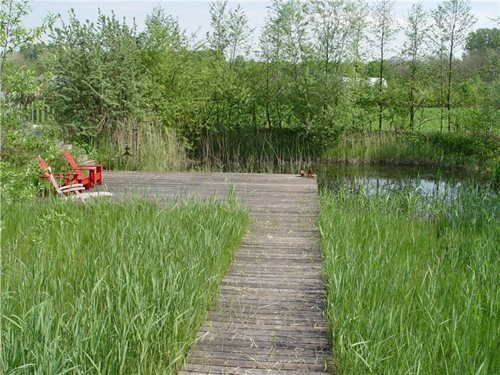 This entry was posted in Garden Design, Landscape Architecture, Public parks on 21st July 2011 by Lawrence. 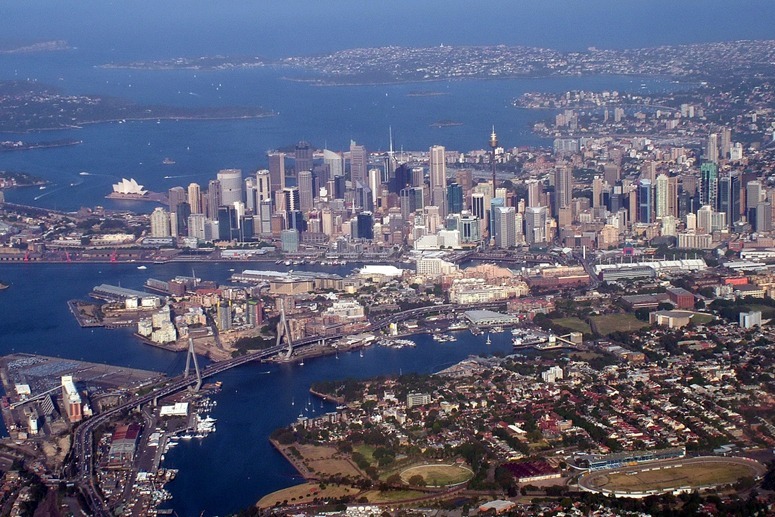 I have often noticed, from photographs, that Sydney’s urban landscape looks all the better for the way in which high buildings are clustered in the central business district. If you took the tall buildings in the above photograph and distributed them evenly across the urban landscape, which is rather what London has done with its tall buildings, then you would get an effect like a suburban cemetery but on a larger scale. Or you could compare it to the mouth of a poor old tired horse with large gaps between the rotting teeth. I think cities should group tall buildings with a view to creating scenic effects and beautifully dramatic skylines. One way of doing this is by drawing roofscape contour plans, in a similar manner to landform contour plans. One could say that it costs no more to group the buildings beautifully than to group them haphazardly, but the grouping would impact on the wishes and desires of individual landowners. So is the idea totally unbusinesslike and unrealistic? Or is it something that cities will need to do in a world when they are competing with each other to become destinations for businesses and tourists and residents? Patrick Abercrombie drew some interesting diagrams so show the urban morphological choices which, in theory, face urban designers. Underneath his diagrams you can see my idea of what urban roofscape contours might look like – and would look like if someone applied the idea of roofscape mapping to Sydney’s central business district. 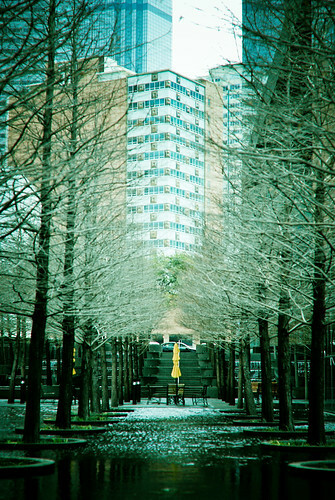 This entry was posted in landscape planning, Urban Design on 19th July 2011 by Tom Turner. This delightful crocodile of children in a park was glimpsed while cycling to work. As I pressed the button it passed through my mind that one of the teachers might use a mobile phone to call the police to check out on a cycling photographer with an unhealthy interest in children. I rarely spend a day taking photographs in London without being told that the section of street on which I am standing is private property and photography is not allowed. In the rest of the world I can only remember being told not to take photographs on five occasions (including once in Japan and once in China). So London leads the world in something – albeit in a totally wrong direction. Meanwhile I can guess what the policemen said when they arrested Rebekah Brooks today: ‘We are arresting you on suspicion of bribing us’ (or was it ‘I am arresting you on suspicion of bribing me?’ Rebekah was the chief executive of News International until last Friday. What destinies await these happy children? This entry was posted in Urban Design on 17th July 2011 by Tom Turner. It is said that the style of architecture and gardens, evidenced in Lila Vanderbilt Webb’s 1886 model agricultural farm Shelburne Farm (among others) “was a mix of eclecticism and the latest advances in artistic and cultural developments as promoted in popular English style books and periodicals of the time.” The tubbed bay trees on the terraces overlooking Lake Champlain, as a consequence, were said to have been climatically challenged! The Golden Age ended with the Jazz Age in which a distinctly American sensibility in gardens and lifestyle emerged. European influences still dominated design ideas, but new approaches were gradually emerging as is shown in the Chartes Cathedral Window Garden (photograph by Saxon Holt shown above), one of three walled gardens on the estate. Filoli, the home of shipping heiress Lurline Roth, whose daughter debuted to jazz strains in 1939 at the property, maintains a strong jazz tradition. Perhaps she danced to the classic‘I wish I could shimmy like my sister Kate’, said to be a charleston/belly dance fusion, and which inspired The Beatles to release a song of the same name in 1962? This entry was posted in Garden Design, garden history, Garden travel and tours, Garden Visiting, Historic garden restoration, Landscape Architecture, national trust gardens on 14th July 2011 by Christine. Since criticising the management of the Water Gardens in 2009 I have heard that they are to be restored and read the note on the Dacorum Borough Council website. 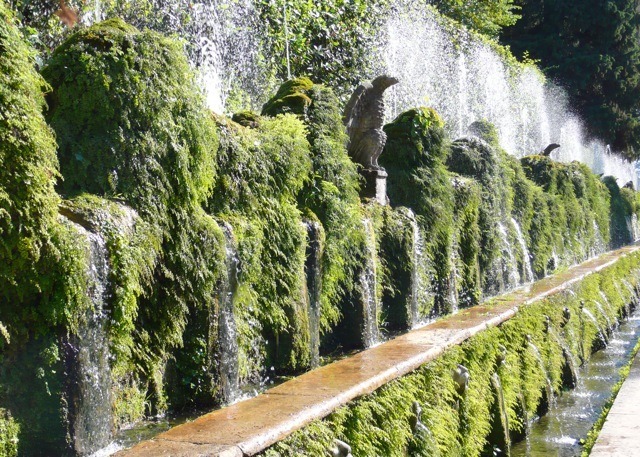 It states that ‘The ornamental water gardens, completed in 1961, were designed by architect Geoffrey Jellicoe, who created the original New Town masterplan. 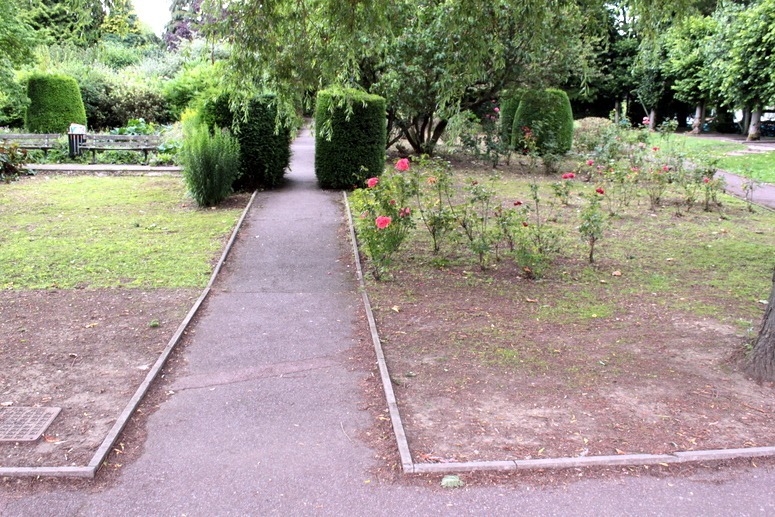 Today, the 3.5 hectare gardens are home to a variety of wildlife, as well as providing an attractive green space in the centre of Hemel Hempstead.’ By ‘wildlife’ they mean weeds, ducks, drug addicts and winos. I went to have another look last week and, finding the Water Gardens worse than in 2009, wondered if I was being punished for my earlier criticism. Geoffrey Jellicoe was an optimist. Susan, who did the planting design, was a pessimist. Their friend, Brenda Colvin, was even more of a pessimist. 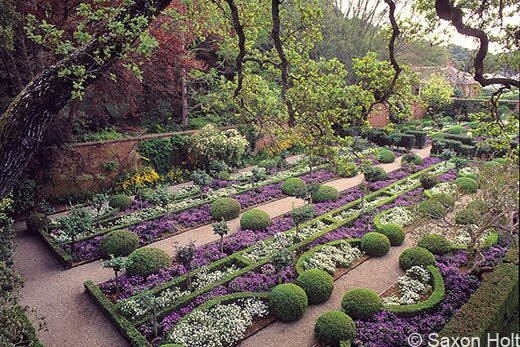 Remembering how many of her planting designs had been wrecked, Brenda Colvin remarked that ‘landscape architecture is a depressing profession – and the older you get the more depressing it gets’. As an optimist, I believe the Water Gardens will be restored. The Garden History Society held a 1-day conference about them last year. But the management needs to change. 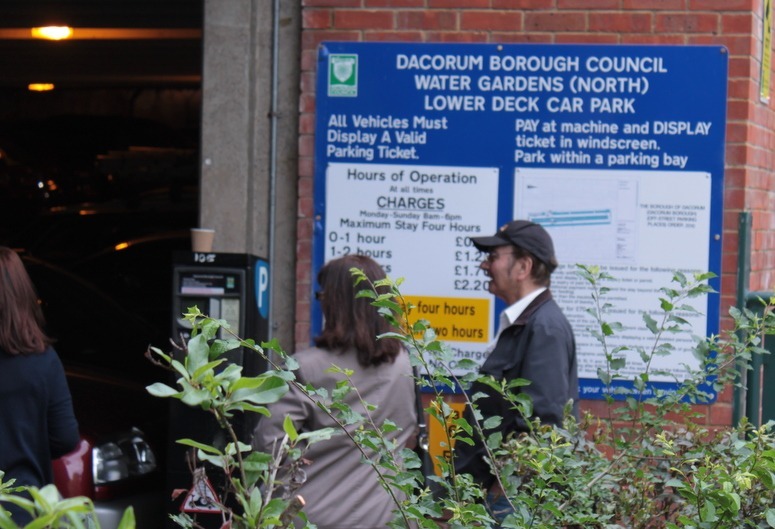 Why doesn’t Dacorum District Council use volunteers? Three of the truths to be universially acknowledged are (1) a volunteer is worth ten pressed men (2) two old ladies can maintain a garden more effectively than 10 well-equipped youths in green sweatshirts – because they know WHAT to do (3) in this world, you get more for love than you get for money. Why don’t UK parks departments make more use of volunteers? It is very common in the US; it works well in Chiswick Park; it is normal practice in National Trust gardens. The reason, I wearily suppose, is that our trades unions do not like volunteers. They want more jobs for their own members. So the Hemel Hempstead Water Gardens can go to hell – or, better, they can extend the hellish car parks which have become the main ‘feature’ of the park since DDC took over from Hemel Hempsted Development Corporation. Parking costs about 60p/hour and they have 750 spaces, open 24 hours/day. If one assumes an occupancy of 30% then the weekly income (7x24x0.3×0.6×750) is £22,680. My suggestion is to give the £680 to the two old ladies, who would probably give it to a good cause. Hemel Hempstead have muddled the ideas of 'car park' and 'public park'. Since this place is called a Water GARDEN the mistake should not have been made. This entry was posted in Garden Design on 11th July 2011 by Tom Turner. 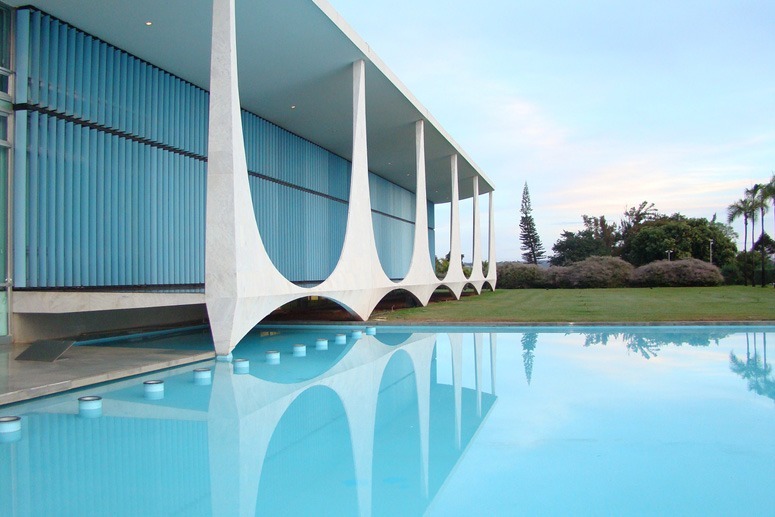 The home of the Brazil’s President was designed by Oscar Niemeyer and opened in 1958. Its name comes from Juscelino Kubitschek, who asked ‘What is Brasília, if not the dawn of a new day for Brazil?’ The design is wonderful. But is it perfect? ‘No’. The space looks sterile, the planting is deeply unimaginative and it is difficult to think of anything one might do with the space – except gaze at it. 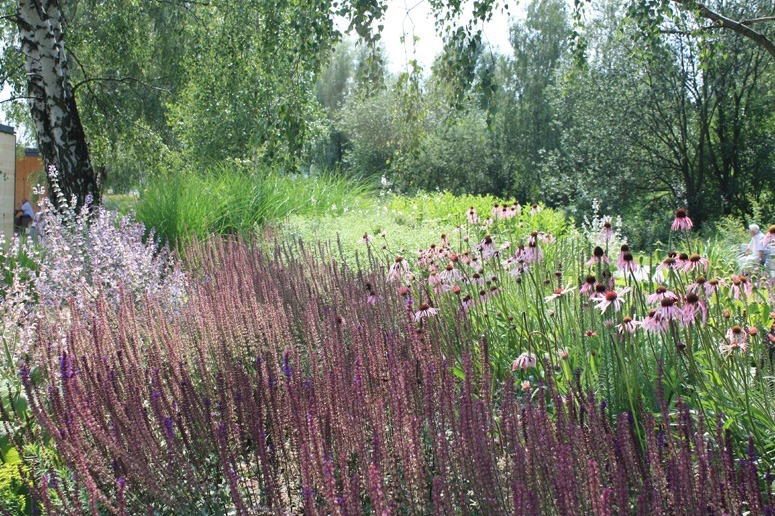 This entry was posted in Garden Design on 5th July 2011 by Tom Turner.